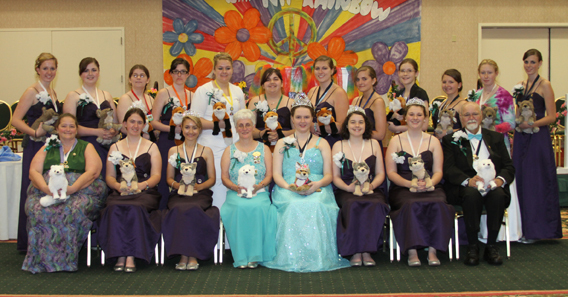 The International Order of the Rainbow for Girls is a non-profit, Masonic youth service organization for girls ages 11 to 20. It teaches the virtues of effective leadership, a true sense of patriotism to our community, dignity of character, respect for the out-of-doors, a concept of higher ideals in life, the importance of a belief in a Supreme Being, cooperation, love of home, family, and friends, unselfish service towards others, and mutual respect for all. Girls have a chance to achieve and excel, fostering self-esteem in a fun and exciting way. Becoming a member allows you to develop everlasting friendships, sharing hopes and dreams about making your life, and the lives around you, better. Members earn awards for their activities they participate in, and scholarships are available for those seeking higher education. Membership in Rainbow gives girls numerous opportunities and experiences. Many members have become leaders in all fields of employment, such as doctors, lawyers, teachers, Supreme Court justices, judges, Miss Americas, actors, nurses, and engineers. The Pledge Group is also available for younger girls ages 8 to 11. This group gives younger girls the chance to participate in Rainbow activities, earning awards and having lots of fun along the way. This web page acknowledges allegiance to the Supreme Assembly, International Order of the Rainbow for Girls, whose seat of authority is in McAlester, Oklahoma, of which Revered W. Mark Sexson was the founder and Mrs. Linda Lee Little is the Supreme Worthy Advisor, and to the Grand Assembly of New Hampshire, of which Joan L. Smith is the Supreme Deputy, and Miss Kaytee A. Peek is the Grand Worthy Advisor. Please direct any questions about this site to the Webmaster.